As horse or pony owner we cannot deny we probably spend a lot of time looking at lorries and trailers; photos of them, looking round demo vehicles at shows or having the full tour of a friends’ new purchase. Lorries have changed dramatically over recent years; the living has been vastly updated and improved; the horse areas are even better for travelling and negotiating. You don’t need to have the strength of Hercules to manage a ramp anymore, the colours you can choose from and the decals are to die for, the sky is pretty much the limit. But what if we can’t afford a horsebox or trailer? What are our options? In recent years, hiring of these has increased and more and more owners are opting to just hire for when they need it. It can be a huge saving on taxing, plating, maintenance costs and probably makes a lot of sense. It does require a bit of planning to make sure a lorry is available for the dates you need them as they can get booked up, but the upside is you are driving a lorry that you don’t have to worry about maintaining; it is delivered clean and ready to go with fuel. It is reliable – and that is a HUGE plus to many. So where can you find a lorry that fits your needs? The birth of the 3.5t has seen dramatic change for many younger drivers. The ability to drive one on a car licence has given freedom to many who before had to wait for family or friends to ferry them about. 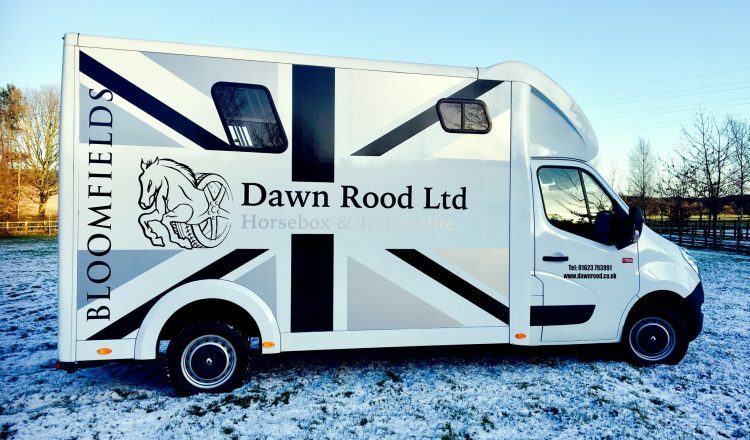 One such company is Dawn Rood Ltd, the Midlands’ premier horsebox & horse trailer rental company. They offer quality vehicles and clean equipment with full insurance cover on all vehicles in the event of an emergency – plus complimentary 24-hour breakdown cover on all horseboxes, making sure you, your passenger and horse are recovered safely. All horseboxes come with satnav as standard and customers wanting to hire multiple pieces of equipment, or loyal returning customers, are also offered discounts. They hire out: Nugent horse trailers, Land Rover Defender 110’s, 3.5t horseboxes, 4.5t horseboxes and 7.5t horseboxes. They even offer half day hire rates on the smaller horseboxes (3.5t and 4.5t). Plus, they have a luxurious 7.5t Oakley Supreme for hire, boasting luxury living areas, the ability to sleep 4 people, lounge area, wet room, horse shower, horse camera, air conditioning, on board generator, diesel exchange unit, additional stallion partition, extra-large stainless steel highline rug rack, reverse docking lights (and cameras) plus satnav. A truly stunning proposition for you and your horse to travel about in sheer luxury! Dawn Rood herself has a passion for all things horse-related started from a young age. She competed her own horse in show jumping at BSJA competitions across the Midlands, and enjoyed many experiences owning, and loving horses. Dawn doesn’t ride competitively any more, as a more important role came her way – motherhood. Dawn now enjoys supporting her 10 year old daughter who’s a keen show jumper, and member of the South Notts Hunt Pony Club. So, it seems her passion has passed on through the genes! 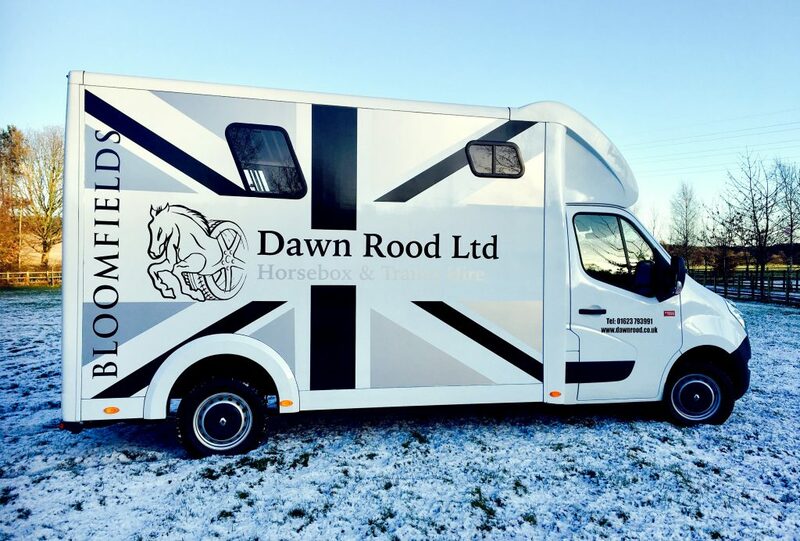 In recent times, Dawn couldn’t help but think there was a market for a quality, passionate equine self-hire business – hiring out high quality, safe and clean equipment. So, Dawn Rood Ltd was born. Dawn Rood Ltd has recently had a brand new responsive website created in 2017 – www.dawnrood.co.uk. The new sites contains all the information that a potential hirer could need including: rates, booking forms, photos of the equipment, T&C’s, FAQ’s and all wrapped up in a simple to navigate site. If you’d like to know more, visit www.dawnrood.co.uk or email her on sales@dawnrood.co.uk or call her on 01623 793 991 or 07970 531 533.